The 40mm f/2.8 Sonnar HFT is a high-quality general purpose lens for the 35RF, ideal for indoor and outdoor use. Compact and lightweight, its initial aperture of f/2.8 gives it a wide margin for shooting in low light with excellent focusing results. The lens is originally in Leica M39 thread mount, supplied with a M-bayonet adaptor when purchased. Available in black or chrome. 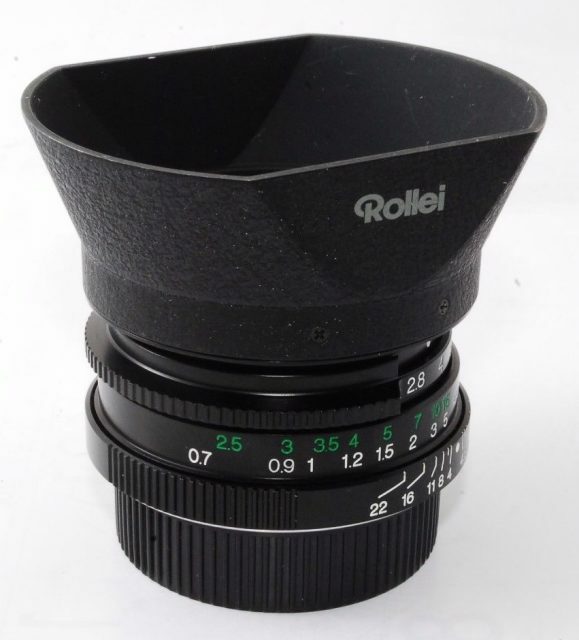 It is reported – quoting Rollei sources – that no more than 50 were made in black and 380 in chrome. Filter size is 39 mm. Made in Germany.